"Permission to jump in an X-wing and blow something up?" 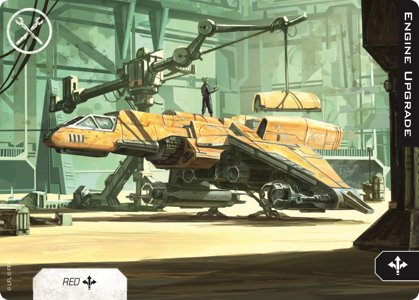 To get the most from your new Resistance and First Order starships, you've got to fly them. 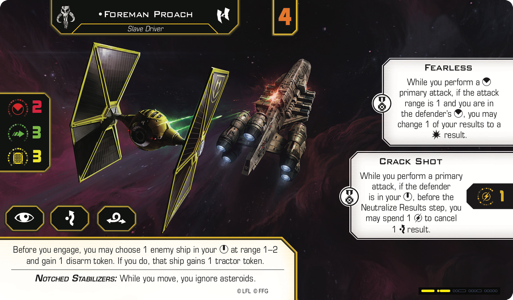 Recently introduced to X-Wing™ Second Edition as their own factions, the Resistance and First Order bring a full complement of fighters, pilots, and upgrades to the table. 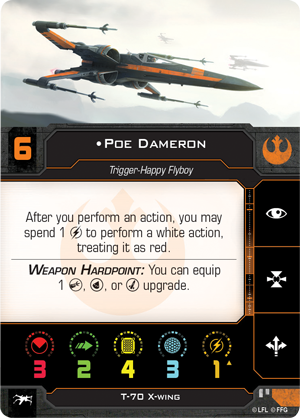 You have Poe Dameron in his signature T-70 X-wing. 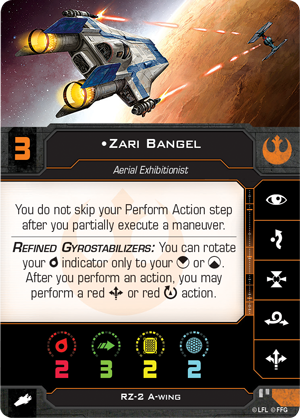 RZ-2 A-wing pilots like Zari Bangel weave through enemy fighters. 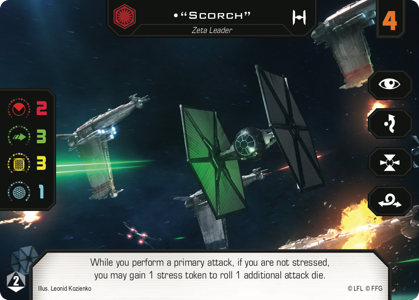 Swarms of First Order pilots like "Scorch" and "Longshot" race through the stars in their TIE/fo fighters. And the First Order Conversion Kit gives us a Kylo Ren ready to show his foes the power of the dark side while blasting them to bits with his sleek and deadly TIE/vn silencer. 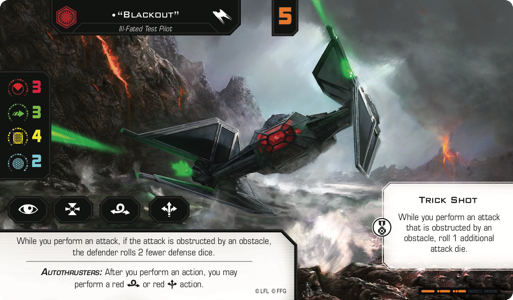 All together, the second wave of releases for X-Wing promises to infuse the game's thrilling starfighter battles with even more Star Wars action, and there's no better way to start exploring all the wave has to offer than by joining an Organized Play event supported by the new Deluxe Wave Kit! The Wave II Deluxe Wave Kit—like every Deluxe Wave Kit—provides your favorite local game store with prizes to support three separate events, as well as a patronage card and prizes for your local Wave Leader. These events and Wave Leader competition complement and punctuate your weekly games by introducing different play experiences and encouraging you to experiment with your new Wave II ships, pilots, and upgrades. 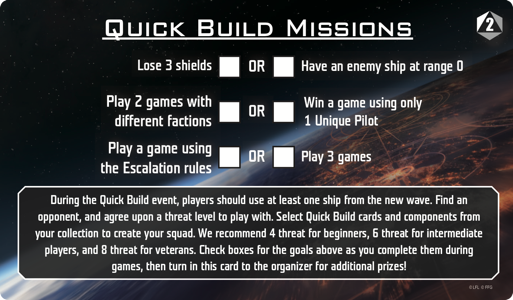 There's nothing like jumping into the cockpit of a brand-new starfighter for the very first time, and the Quick Build Party is designed to capitalize on the feeling by making it easy to open your new starships and race them straight into battle. 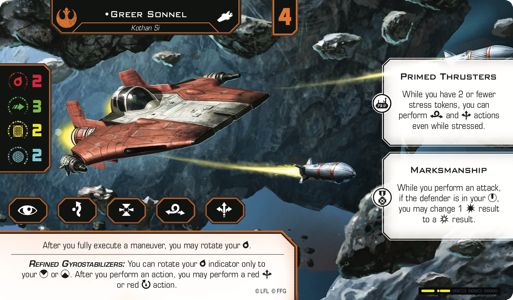 The Quick Build format for X-Wing offers simplified squad building rules, in which you and your opponent simply agree on a set amount of threat and then select different Quick Build ships that add up to the appropriate threat level. It's an easy process and one made even easier by the Enhanced Quick Build cards you'll find in the Wave II Deluxe Wave Kit. 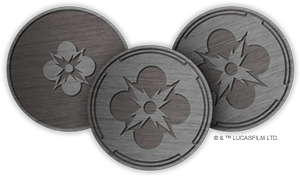 There's one of these Enhanced Quick Build cards for each of the three factions featured in Wave II. You'll find a "Blackout" Quick Build for the First Order, a two-threat version of Foreman Proach for the Scum and Villainy, and a two-threat version of Resistance veteran Greer Sonnel. Using these Enhanced Quick Build cards—or any of the other Quick Builds recommended with the new ships—you'll enjoy fast and friendly games with other players looking to test their new ships. You'll also attempt to complete the three challenges listed on the Challenge Card. For each challenge you complete, you earn a special Force charge. Complete all three challenges, and you'll walk away from the event with three Force charges—as many as Darth Vader brings to his TIE Advanced x1. In X-Wing, there are nearly as many ways to play the game as there are people who play it. Everyone enjoys the game's different possibilities in different measure, and the Thematic Tournament supported by the Deluxe Wave Kit is an acknowledgement of this fact and a chance for everyone to fly a bit differently. 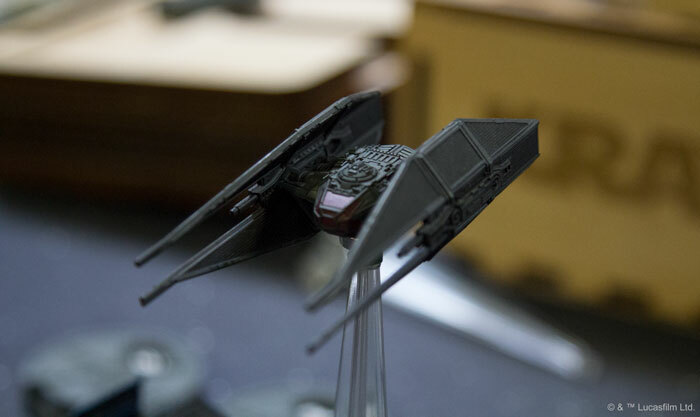 The Wave II Thematic Tournament eschews the game's standard squadron building rules to focus on the ships and pilots who took part in the Evacuation of D'Qar. 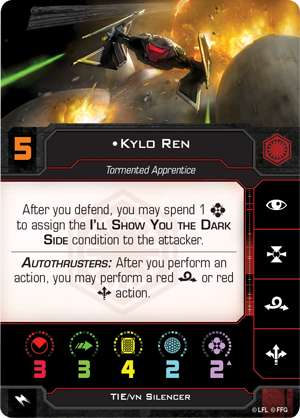 For all those players who gravitate to the game out of their love of Star Wars—and for the ways that X-Wing allows them to relive their favorite space battles—this event represents a golden opportunity to fly T-70 X-wings and Resistance bombers against First Order TIEs led by Kylo Ren in his TIE/vn Silencer. 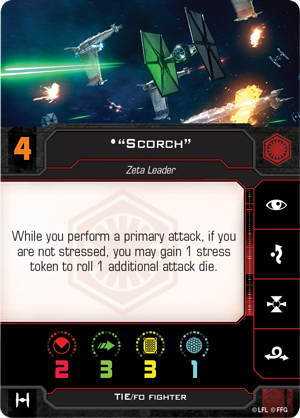 The Resistance's very survival is at stake in these battles—as are a number of extended art cards. 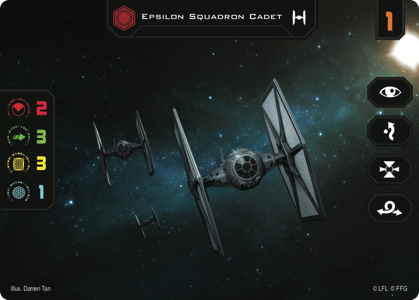 The Thematic Tournament supports up to sixteen participants, each of whom receives an extended art Epsilon Squadron Cadet. Each player who wins two or more games earns an extended art Heroic. 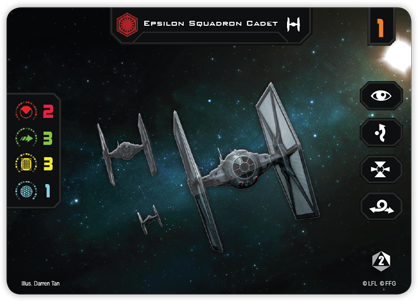 Finally, each undefeated player earns a double-sided plastic card with the extended art Epsilon Squadron Cadet on one side and Heroic on the other. Each Deluxe Wave Kit supports a special, larger event that runs once per wave. 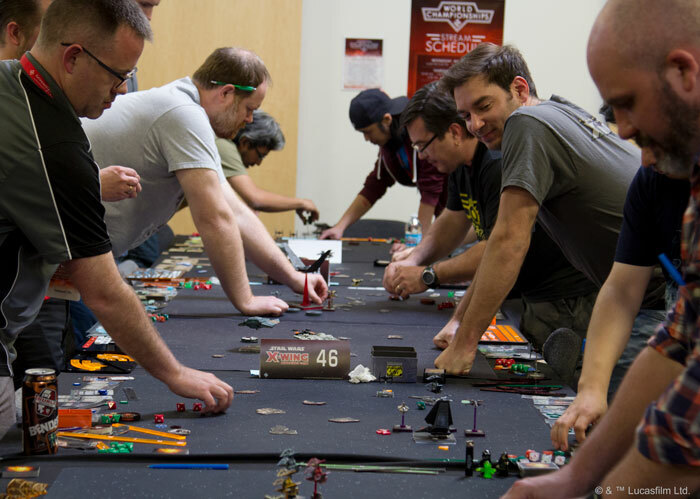 This event is known as the Wave Championship, and it's a chance for you to fly all your favorite new ships against the best players in your local X-Wing community. 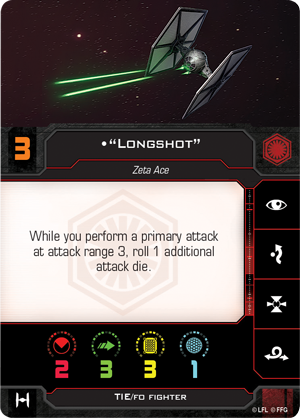 Or you can fly your older ships, instead, and use this event as your testing grounds for more competitive events like the X-Wing System Opens. In accordance with its standing as a larger event, the Wave Championship also comes with a greater array of prizes. It's a great time to punch the afterburners and fly straight at the enemy! 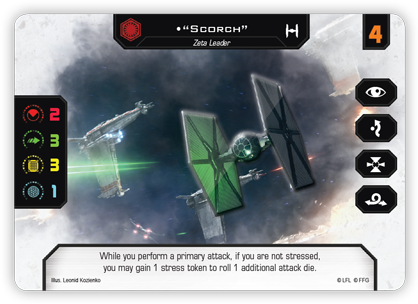 The Top 32 participants each receive one Wave Card—a double-sided, extended art card featuring the Resistance's Blue Squadron Rookie and the First Order's ace TIE/fo fighter pilot, "Scorch." 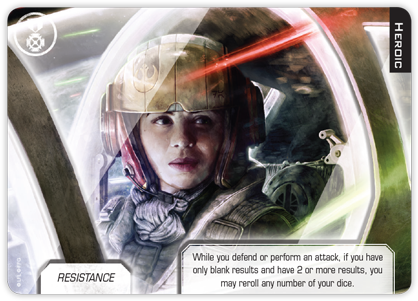 The Top 8 participants each receive a set of three Force charges. These are the same as those awarded during the Quick Build Party. 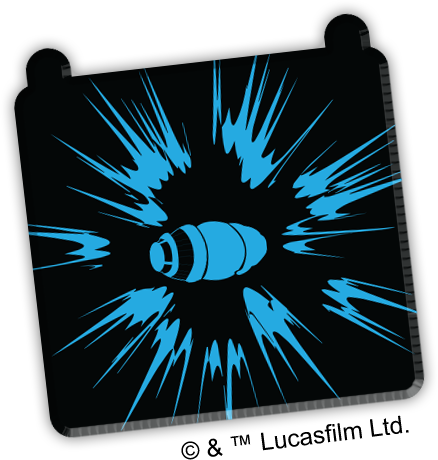 The Top 4 participants each receive an acrylic Proton Bombs marker that features an alternate graphic design. 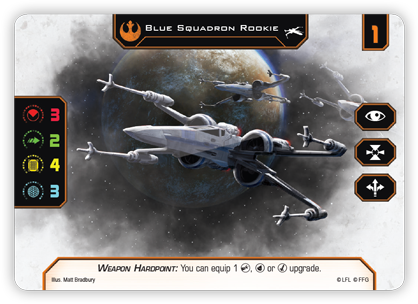 In addition to the other prizes he or she wins, the Wave Champion will claim a double-sided plastic card—a copy of the extended art card—featuring both "Scorch" and the Blue Squadron Rookie. Some contests are too large to be defined by a single event, and the Wave Leader contest supported by the Wave II Deluxe Wave Kit is one of these. It may be that the greatest pilot isn't the pilot who can win a single battle in a single ship, but a pilot who can fly any ship with consistent success. The Wave Leader contest honors the player who scores the most wins in the Thematic Tournament, Wave Championship, and all the weekly tournaments supported by the game's seasonal Attack Run Kits, from the release of the wave through the release of the next wave of expansions. Consistency matters, and if you can demonstrate your quality week after week after week, you could win the Wave Leader prize—even without ever winning a single event. 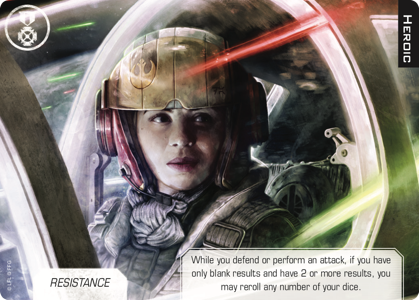 Earn the title of your store's Wave Leader and you'll claim a double-sided art print and a set of custom range rulers. 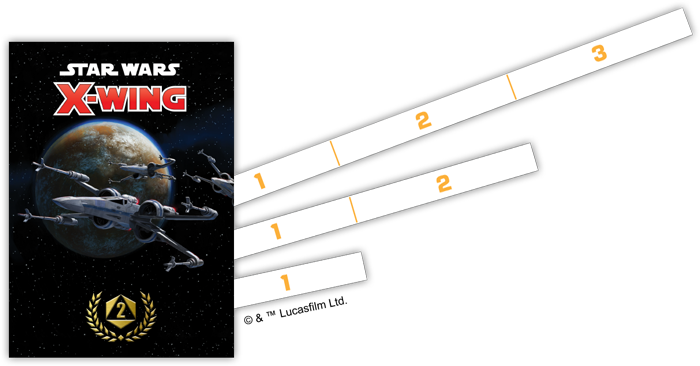 There's one final way the Deluxe Wave Kit encourages your exploration of the new wave and its starships—a patronage card that you can earn simply for purchasing X-Wing product from your favorite local game store. Support the game store that supports you, and you'll earn an extended art copy of Engine Upgrade—one per player, while supplies last. 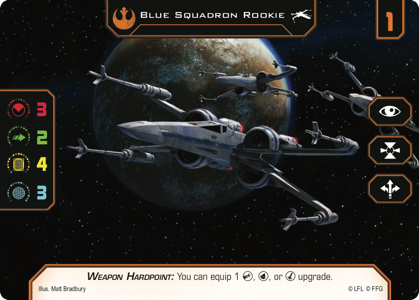 When you think about it, this particular patronage card is an apt metaphor for X-Wing Organized Play as a whole. You have to have the game before you can get involved, you can still play without it, but once you get it, everything is easier, faster, and just flies better. If you've never participated in Organized Play, now's the time to start. The events supported by the Deluxe Wave Kit are designed for you just as much as they are for the most seasoned veterans. And once you get started? Your whole gaming experience will be upgraded—just like a shiny, extended art Engine Upgrade can give a welcome boost to your old YT-1300 light freighter! Whether you're looking at getting started with Organized Play for the very first time, you're looking forward to your next themed event, or your're hoping to add to your collection of custom prizes, the release of Wave II and its Deluxe Wave Kit mean that you'll soon be able to enjoy a fantastic array of new experiences. Talk to your local game store today to find out how you can get involved!